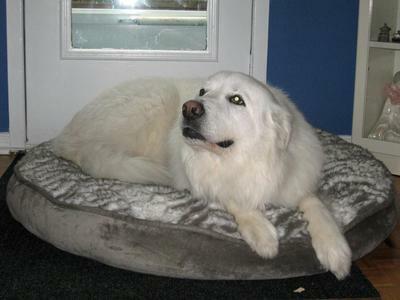 *ADOPTED* This beautiful sweetie never made it to our adoptables. Her family put in an application, in came Sophie and she went right to her new family. Not surprisingly, they fell in love with her. She gets to hang out with them, watch over them, and just be loved. We couldn't be happier for her. 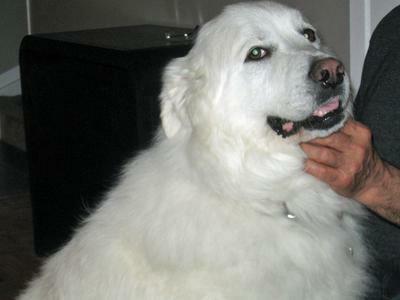 Sophie is a five year-old Pyr. She lived outside on country properties but never wanted to work. Know that not all Pyrs want to watch over livestock. She was moved from farm to farm because of this. She was constantly running away. She then came to us. She just wanted to spend her time with her people. She has now found her spot in the world. She has been bathed and groomed as should all Pyrs. She loves her people and loves children. She plays hard with other dogs. She eats a raw diet. She gets five walks a day on different trails and has her country property to visit but not to work. Life couldn’t be better for her. Know that not all Pyrs want to work and that is okay. Diet is very important in having a healthy dog. The best food is raw.